Checking a patient's respiratory rate (abbreviated as RR) is usually the most challenging of all vital signs to get an accurate measurement for. To do this, you have to secretly count the amount of breaths per minute a patient takes. On average, the amount should be anywhere between 12-20 in one full minute. Why secretly you ask? Because if a patient finds out you are counting their respirations, they will subconsciously try to perfect their breathing. This is by no means the patients fault, it's just human nature. The same thing would happen if we tried to count our own respirations. Usually, you will have to look for the rise and fall of the chest to count your patient's respirations. Although, if they breath loud enough for you to hear, that makes it even easier. The recommended amount of time to count a patient's breaths per minute to achieve an accurate result would of course be one full minute. Some caregivers check for 30 seconds and then multiply that number by two, but a full 60 seconds is still recommended. The rate should be checked when the patient has been in a relaxed state for at least five minutes. Anything under 12 or over 20 should be rechecked and evaluated closely. If the patient talks, coughs, or sneezes, you would need to start over and count their respirations again in order to be accurate. All of this may seem complicated at first, but practice makes perfect and these tips and tricks will make it that much easier. 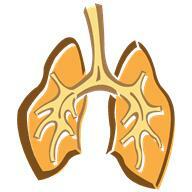 You have a number of options to check a patient's respiratory rate, but in many situations, your options are limited. Everybody breaths differently. The tricky part is keeping it a secret. The easiest time would, of course, be when the patient is asleep, especially if they snore or breathe loudly. Just don't stand right over them while counting or they may get startled if they wake up. Nobody likes to wake up to someone hovering over their bed. If the patient is awake, try to count their respirations while you are checking their blood pressure and/or body temperature. I've even heard of caregivers pretending to check the patient's pulse rate, but they are actually counting their respirations. Another method is to check it while you seem to be busy doing something else. In a hospital setting, that may be looking through paperwork or at the patient's heart monitor. If the patient's breaths per minute are out of normal range, listen for wheezing or other signs of difficulty breathing. Ask them if they are having a hard time catching their breath or having chest pain. Even if a patient has great oxygen saturation, their breaths per minute can still be out of the normal range. If they are supposed to be wearing oxygen, make sure it is in their nose properly. I have found many patients appear to have their oxygen in their nose, but it is actually right next to it or upside down. Look closely. Encourage use of an incentive spirometer if one is available. If an abnormal respiratory rate persists for longer than a few minutes, a trip to the doctor or in extreme cases, the emergency room may be a good idea. This is a set of step by step instructions based on the clinical skills portion of a certified nursing assistant (CNA) exam. In this particular case, the patient is simply lying in bed. Step 1: Perform your opening duties. Step 2: Do not let the patient know you are counting their respirations. If they become aware of what you are checking, they will either consciously or subconsciously control or distort their respirations. For testing purposes, hold their wrist as if you were checking their pulse rate. In the real world, you may act distracted by doing something such as looking through paperwork. Step 3: Locate their respirations. Some patients have a more prominent rise and fall of their chest while others can be seen better by observing their abdomen. The combination of the rise followed by the fall count as one full respiration. Some testing centers allow for a small lightweight object to be placed on the patient’s chest to better visualize the rise and fall. Step 4: Begin counting for one full minute. If you are testing, say “begin” when you start and “stop” when 60 seconds have passed. Make sure you and the patient remain quiet and still during this time. Start over if you lose your count. It is best to just glance at the time periodically as to not confuse the seconds passing by with the respirations. Step 5: Record the respiratory rate. It is debated whether to record the respirations on the documentation form now or after you perform your closing steps. Unless the patient is on contact precautions, it is recommended to record your findings now as to not forget them later. For testing purposes, your number has to be within 2 counts of matching your evaluator’s number. Normal respiratory rate for an adult is between 12 and 20. Step 6: Perform your closing duties. Place the call bell either in the bed with the patient or within their reach. Adjust the head of the bed if desired. Keep the entire bed height in the lowest position. Make sure the bed alarm is on if necessary. Open the privacy curtain if desired. Ask the patient if they are comfortable and if they need anything else before you go. Check to make sure everything is clean and in its proper place. Adjust the lights if needed. Ask about the door being left open or closed. Place the documentation form in its correct location.